Hi there. 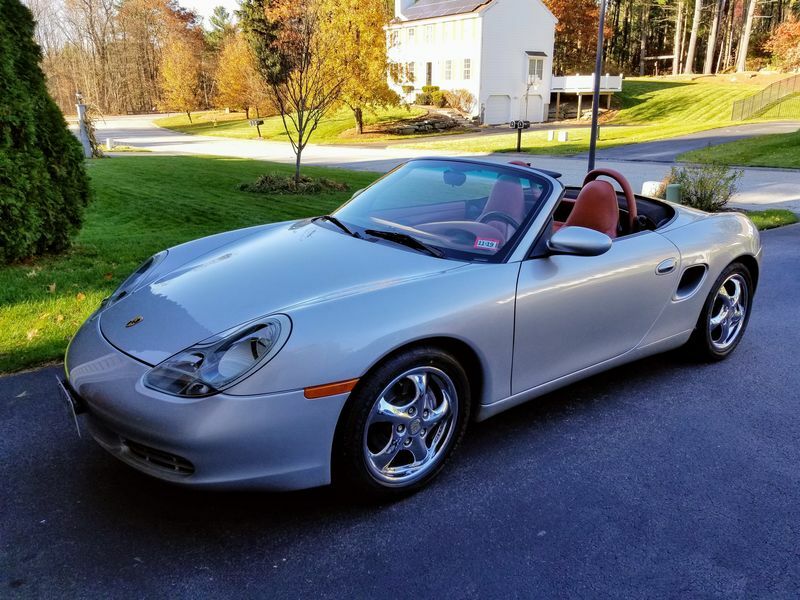 Just picked-up this '99 Boxster with 40K miles on the odometer. Original CA car, moved to ID, and hasn't been driven much for the past 5-8 years. A few small nicks and bruises in the paint and the leather could use some reconditioning but looks excellent compared with many others I looked-at. Generally unmolested except for an aftermarket radio install. Some nice factory options including full leather dash, pleated seats, litronic headlights, upgraded wheels/suspension, etc. Silver w/red leather is my favorite color combination. Will go thru all the fluids this winter, change the plugs, serpentine belt, etc. Will need a new top at some point but I've polished most of the fog out of the original back window for now. Looking forward to wrenching on "Hans" and interacting with all the forum members here. 98 Silver/Red here, too! Love that red interior! The headlights aren't working on it, sorry. I'll swap you my original eggrolls, straight across including shipping. Let me know. Nice car! Have fun! Oh, and welcome!